The latest PlayStation 4 and Xbox One are apparently the only two consoles that are being looked upon by gamers right now, but looking at the upcoming cross-gen video game titles, it becomes quite clear that previous generation of consoles is still a little syrupy. Bringing its MMO role-playing racing video game to the last-gen console as well, Ubisoft recently announced that The Crew will be released on Microsoft’s Xbox 360 console alongside PC, PlayStation 4 and Xbox One on November 2014, and the game won’t be coming to the PlayStation 3 or Wii U console apparently because their technical infrastructure is not closest to the latest consoles. Ubisoft’s The Crew ranks among some of the most anticipated upcoming racing video game titles. Being developed by Ivory Tower and Ubisoft Reflections, The Crew is not something like a typical racer game. Set in an open and persistent world, the game allows players to roam the entire United States alone, with friends or with other players by using online co-op matchmaking feature. 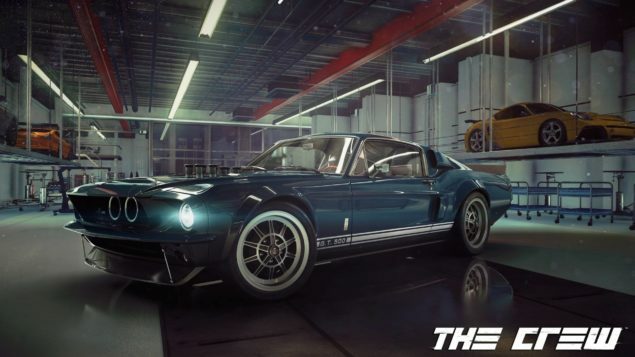 One of the best things about the game is that it doesn’t keep players waiting with in-game loading or pause screens, and allows them to design their own custom cars with a tie-in app for iOS and Android. Ubisoft’s The Crew is set to launch on Microsoft Windows, PlayStation 4, Xbox One and Xbox 360 later this year on November 11. According to the developer, there are currently no plans for the PlayStation 3 and Nintendo Wii U versions of the game. What do you think about the game’s Xbox 360 exclusivity on the last-gen consoles? Share your thoughts in the comments section below.